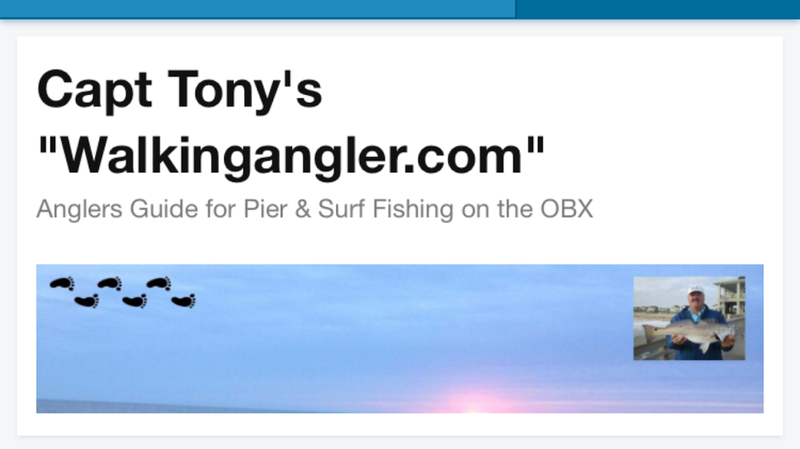 Night Fishing | Capt Tony's "Walkingangler.com"
Tackle bags can sometimes be compared with our backyard sheds. We buy a great tool, maybe use it once or twice, and then need a place to store it before the next use. And that next use may not be anytime soon. So we place it in the shed and then the next thing we know, the shed is full and when we need that tool, you can’t find it. Well, our tackle bags are a lot like those backyard sheds. We need a place to store our go-to items along with that special gear we purchased with the hope that it would work. And like storing dozens of tools in the shed, the fishing gear somehow gets shoved in our tackle bags and frequently gets lost or damaged. Not only can gear get damaged but the angler can get injured reaching into their bag for something only to get stuck by a hook or bait knife. 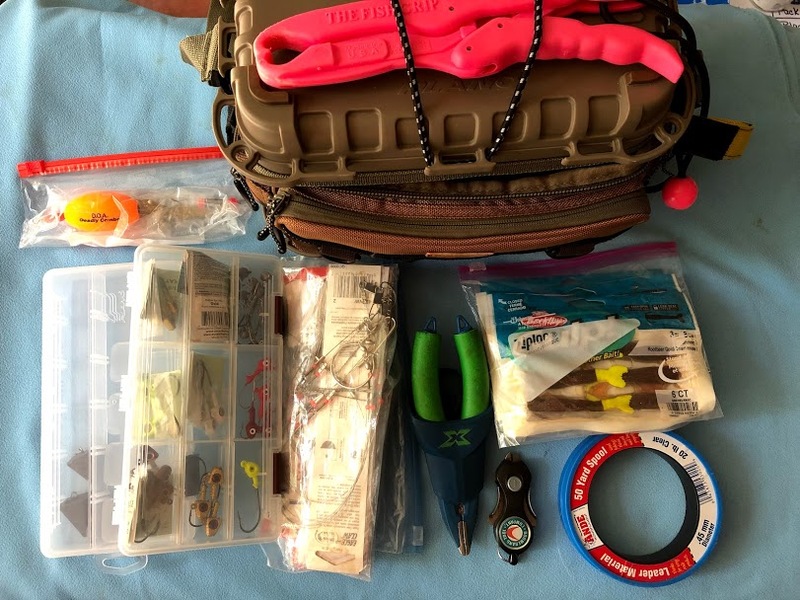 Organization of fishing tackle and gear is imperative. Most anglers use plastic trays or zip lock bags to store items in their bag. Hooks, sinkers, floats and other items should be kept in their original containers if possible. Bags and boxes have many compartments which can be used for frequently use tools, extra line, scents. So when the fish are biting or the blitz is on is no time to begin digging into you gear box or bag to retrieve something. It’s best to put things in their place where you can access them quickly before the big rush occurs. Remember, your target species won’t wait around for you to rig up the right gear and catch them. You must be ready at any moment. “Because most times you only have a moment to make that cast”. Sea mullet are one of the easiest fish to catch on the Outer Banks. They have slender body with a slightly arched dorsal fin. Their color can range from a light to dark grey with dark shaded stripes. Their mouth faces downward to assist in feeding. They range in size from several inches up to eighteen with the typical size being caught range to ten to fifteen inches. 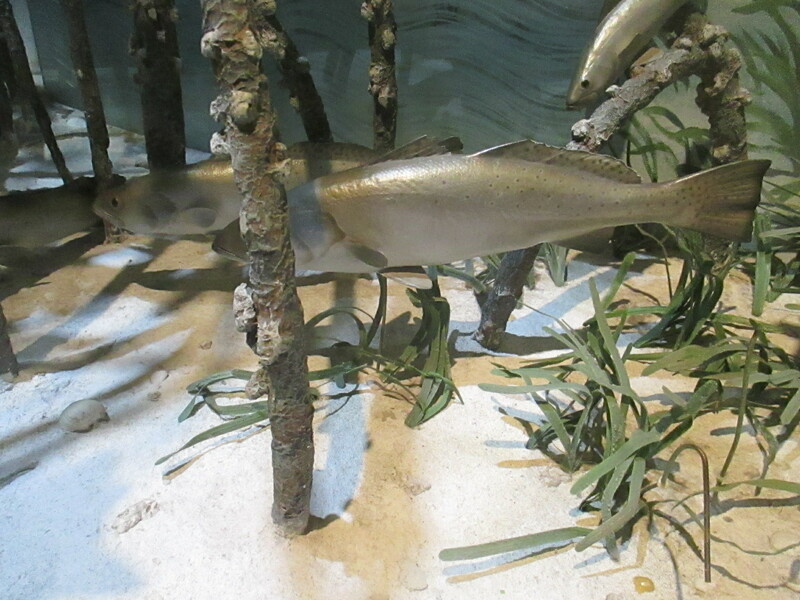 Sea mullet can be found along the entire Outer Banks coastline from April through October. They typically show up in the spring when the water begins to reach fifty degrees and stay around until the water cools in the fall. 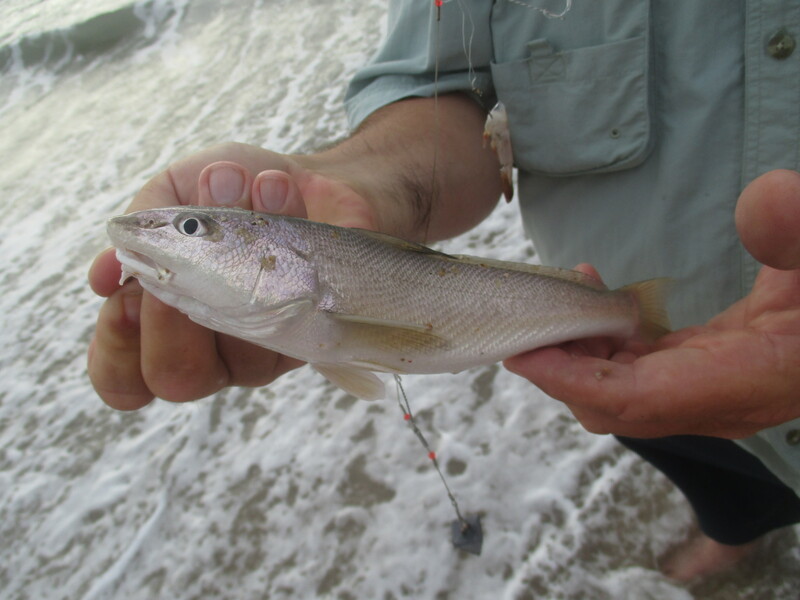 Local anglers target these fish in the shallow surf zones and on the piers. They can range from the close in sloughs to out in the deeper water and also adjacent to structures such as piers and docks. I usually find them either right near the beach in shallow water or half to three quarters out on the piers. When fishing on the piers, I usually will cast out and away from a structure and retrieve back to me. South side seems to work best for me but either should work when they are there. They are typically bottom feeders and prefer cloudy or stained water. Sea mullet will stay in a zone where there is a lot of water movement. This constant water movement stirs the bottom and mixes the food source that the mullet search for. They also search for food by smell so fresh baits are always the best way to go. These regular visitors to our waters are caught on standard one or two hook bottom rig. Sea mullet have a small mouth so I always start with a small hooks and depending on my success, and change up or down in size as needed. I prefer a number four “J” or circle hook. I just bait the hook with a small bait. The best baits for sea mullet is fresh shrimp, bloodworms, or fish bites. When you use shrimp, always purchase eating type shrimp. I never peel the shrimp. The hard shell usually helps the bait they on the hook. To increase your chances of catching, change the bait frequently. When the sea mullet are in season, you can fill a cooler in no time. And most probably one of the best eating fish with its white flaky meat. But please remember, when fishing, only harvest what you plan to use fresh. Frozen sea mullet or any fish loses it favor quickly. So grab a rod and hi the surf today. There is no better time to catch a sea mullet is now. 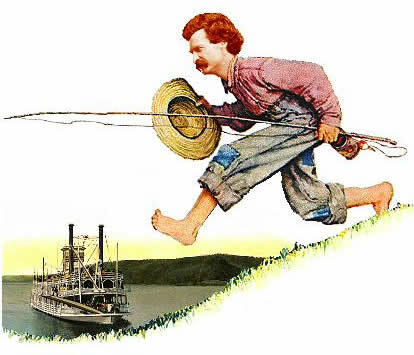 Oh, and one more thing that will make your day better is to take a kid fishing. With every fish they catch that smile gets wider. Fishing in Florida during the colder months can be an extremely rewarding experience if you know the rules. Now we are not talking about the rules and regulations on creel and bags limits. Although knowledge of these regulations are mandatory in every region, it’s the small subtitles that can make a difference of success for the visiting angler. We hear all the time that fishing is the same regardless where you fish. But in Florida that can’t be further from the truth. The various species are stealth and they spook very easily. And catching them can test even the most passionate angler. There several interesting techniques that can increase the potential for success. Match the hatch is probably the second most important tip to remember. Many species are creatures of habit and they will feed on the most plentiful and easiest bait available. So the best way to increase the success rate is use a lure or bait that is similar to what’s in the water. Color is also important but it’s the contrast and presentation technique that can have more influence. The key: mimic the food source and try to “BE THE BAIT”. Downsize your gear. The lighter the gear the easier it is to place the bait in the proper location, present it naturally and then feel the bite. Minimize any foreign objects from the environment. Anything outside the lure should appear natural. 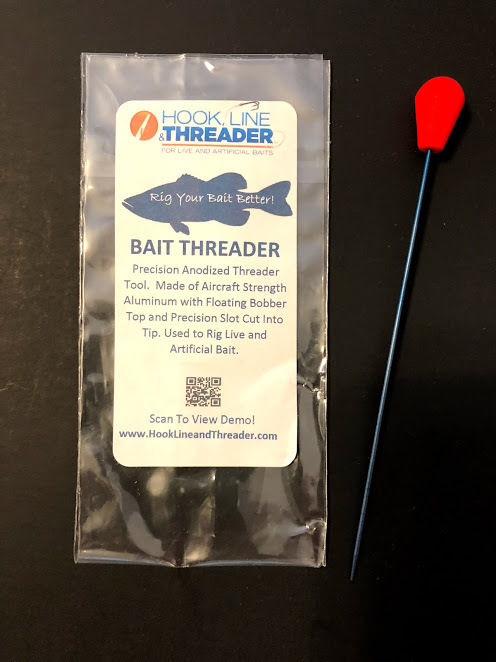 So use the lightest leader materials, limit you connections to only small knots and avoid any type of metal on your tackle or baits. Technique and Presentation. Regardless of your lure or bait selection, it’s the natural presentation that can make all the difference. The retrieval technique can make the difference between a strike and spooking your target. Remember, most strikes occur during a pause in any retrieve when the prey is most vulnerable. Change it up. Some anglers will switch their salt to fresh water gear to encourage the strike. Modifying baits such as adding a rattle or cutting a slice from a plastic swim bait that mimics a wounded fish may spark the interest of a feeding fish. As a general rule, “change is always good”. Although there are dozens of other techniques, I have found these to help increase my catch rate. Never be satisfied with the basic package, experiment and challenge yourself and you will not be disappointed. 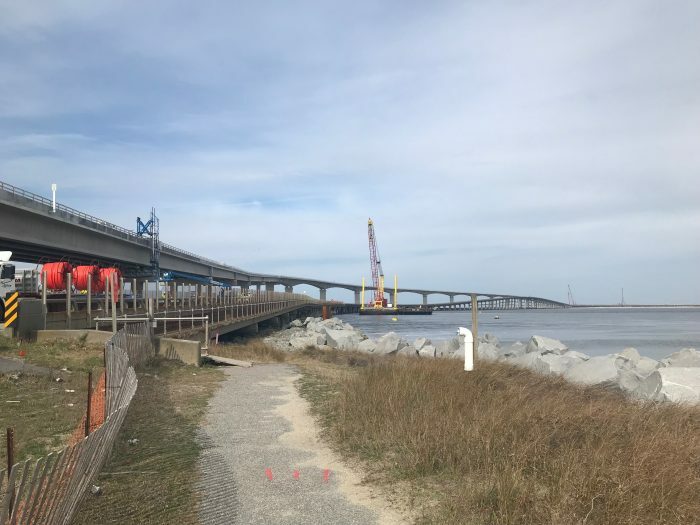 During the week of March 18, contractors for the N.C. Department of Transportation (NCDOT) will be installing gates and fences around the southern end of the Bonner Bridge and adjoining catwalks, as workers prepare for demolition work on the bridge. This will temporarily end public pedestrian access to the bridge while the demolition takes place over the next year. About 1,000 feet of the bridge will remain after the demolition process and be converted into a public walkway. That section is expected to reopen in 2020 when the demolition project is complete. We are rapidly heading into the spring fishery on the Outer Banks with numerous reports of blow toads and sea mullet beginning to show up on the Hatteras Island beaches. Water temperatures are gradually increasing and it won’t be long before our spring species are well settled in both the ocean and sound waters. But are you ready? At the end of the last fishing season, there were many things to address. Let’s look back to our new year’s resolutions and see what still needs to be done. First item – Get more knowledge. This doesn’t mean we have to go back to school but fishing seminars do help. Learning new things is important for increased success. The best way to gain more knowledge is look back at your log book. What worked best and when? The variables were time of day, tides, weather conditions but probably more important was the water temperatures and barometer readings. One of the best sources of knowledge you can have. Another way is stopping by your local tackle shops. They can help with any new gear or specific techniques. You may even want to check the various manufacturer’s web sites. Lots of tips can be found there. These are the professionals – they make it their business to make you a better angler. The next one was “logging-it”. Most anglers don’t have time to jot specific notes or keep a log about the day’s fishing trip. At the end of the day, it’s all we can do to clean and organize our gear. Added time if you need to clean your catch. Some cases, you may have to add boat maintenance. But if you don’t document it, the information won’t be there when you need it. The best way to increasing your success rate, is logging your trips. Not just important but basically imperative. Other reports can be a ‘guess-estimate” or second or third hand information. Your log is real data. Can’t get any better than that. It is extremely simple to create your own log or purchase one already designed for the type of fishing you do. If neither of these work. Email me and I will send you a copy of my log. Not sophisticated but it has worked for me for years. Rods and reels are the most important part of your fishing system. Hopefully, these were not overlooked. These need to be checked, cleaned and stored in a location away from harm. If not, there is still time to do the maintenance. Remember even a small defect in your rod or reel could cause you to lose your trophy catch. So check your rod and reels closely and don’t skimp here when maintenance or repair is needed. Finally, you need to organize your gear. Remove everything from your box/bag and lay it out on the table. Place the defective or rusty items in one place and the good ones in another. I separate hooks, leaders, bottom rigs and other odd size items in plastic zip lock bags. Everything else goes in the see-thru plastic trays. If needed, replace the old plastic lure boxes with new ones. Final thing to check your pliers and other tools. If you find them rusty or defective, now is the time to replace them. That first run of spring species is just around the corner. Take the time now. The fish are heading our way. North Carolina Department of Marine Fisheries ask public to report cold stunned trout. MOREHEAD CITY — The N.C. Division of Marine Fisheries wants to remind the public to report any cold stunned spotted seatrout they may see in North Carolina coastal waters. During the winter, spotted seatrout move to deeper, warmer waters in coastal waters and the ocean. Cold stun events occur when there is a sudden drop in water temperature or during prolonged periods of cold weather, making fish so sluggish that humans can harvest them with their hands. Many fish that are stunned die from the cold or fall prey to birds and other predators. Studies suggest that cold stun events can have a significant impact on spotted seatrout populations. No cold stun events have been reported so far this winter, but if there are concerning weather conditions in the upcoming weeks as previously described then a cold stun event could occur in coastal creeks and bays. Under the N.C. Spotted Seatrout Fishery Management Plan, if a significant cold stun event occurs, the Division of Marine Fisheries will close all spotted seatrout harvest until the summer. A significant cold stun is determined by size and scope of the cold stun event and an evaluation of water temperatures in areas where cold stuns have been reported. 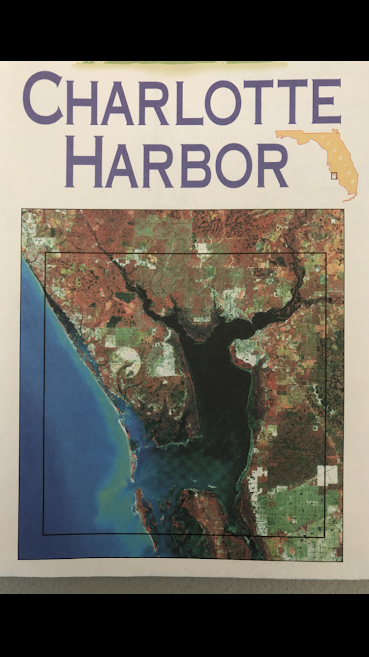 Monitors that continuously log water temperature are deployed statewide in the coastal rivers and creeks prone to cold stuns. Closing harvest allows fish that survive the cold stun event the chance to spawn in the spring before harvest re-opens. Peak spawning occurs in May. Under N.C. Wildlife Resources Commission rules, the spotted seatrout season automatically closes in inland waters when it closes in adjacent coastal waters. Click here to learn more about cold stun events and how they impact spotted seatrout fisheries management in North Carolina. Fishing on the Outer Banks is one of the easiest and the most enjoyable activities you can do when on your vacation. Many of our visitors travel hundreds of miles to enjoy this region. And sometimes these visitors are unaware of what brings many others to our beaches every year. Saltwater fishing is not only fun, relaxing but can be habit-forming for the entire family. So how can you and your family begin enjoying this great past time? I would first recommend stopping by a local tackle shop. They can give the best overall advice on getting started. What species are being caught, the proper gear and bait and any other specific information you will need. They might even be able to offer you a complete fishing package at a reasonable price. Fishing licenses can also be purchased here. The next thing I would do is head for a local ocean pier. All of our ocean piers have a tackle and bait shop. They are staffed with knowledgeable professionals who can give you “real time” advice. Bring your own equipment and gear but find out that it won’t work for the current conditions or species? Pier staff can rent everything you need including rod reel outfits, rigging and fresh bait..
For novice anglers, fishing on an ocean pier is usually the best way to start. They can help you select the right gear for the species being caught. 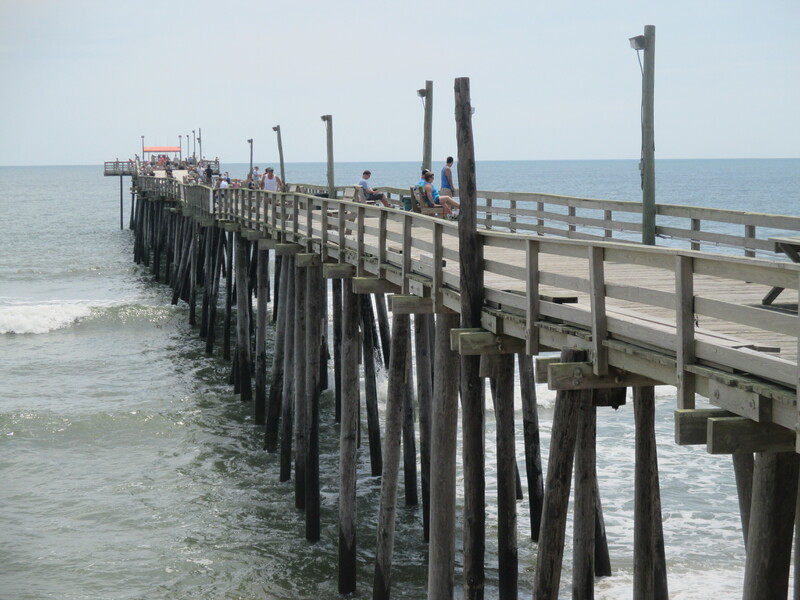 North Carolina requires a fishing license and if you fish on an ocean pier, the admission price includes a one-day or multiple day license. And the best part is that other anglers on the piers are more than willing to lend a hand to both new and experienced anglers. All of the piers on the Outer Banks are family friendly. In addition to fishing gear, each pier provides sheltered areas, snack shop, amusements and restroom facilities and more. All piers are designed to accommodate physically challenged anglers. So if you are looking for something new and exciting during your visit to the Outer Banks then fishing might just do the trick. Forever be warned though – saltwater fishing can be habit forming.